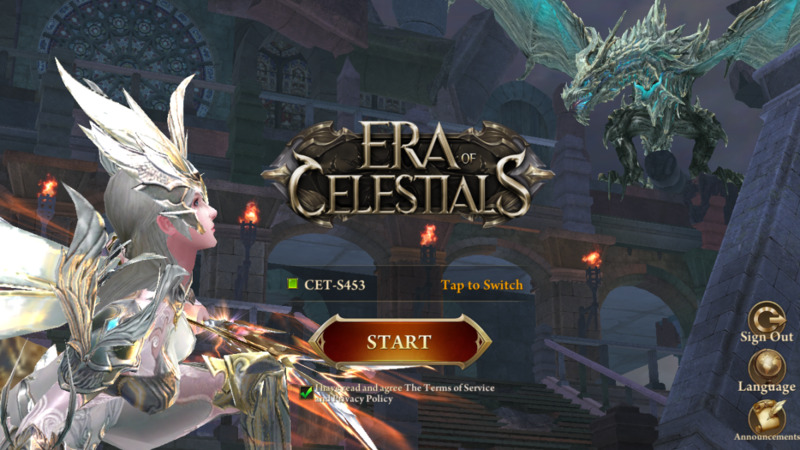 I recently started to play Era of Celestials on my phone, and found that in order to complete certain functions, I needed help; so here it is for you! In this article, I will go through most of the struggles that I faced and help you overcome them. Mainly how to earn EXP, gold, rubies and diamonds, along with how to increase your BR and your overall character level. I will use some gaming terms, so if you are not familiar with them here is a brief summary. 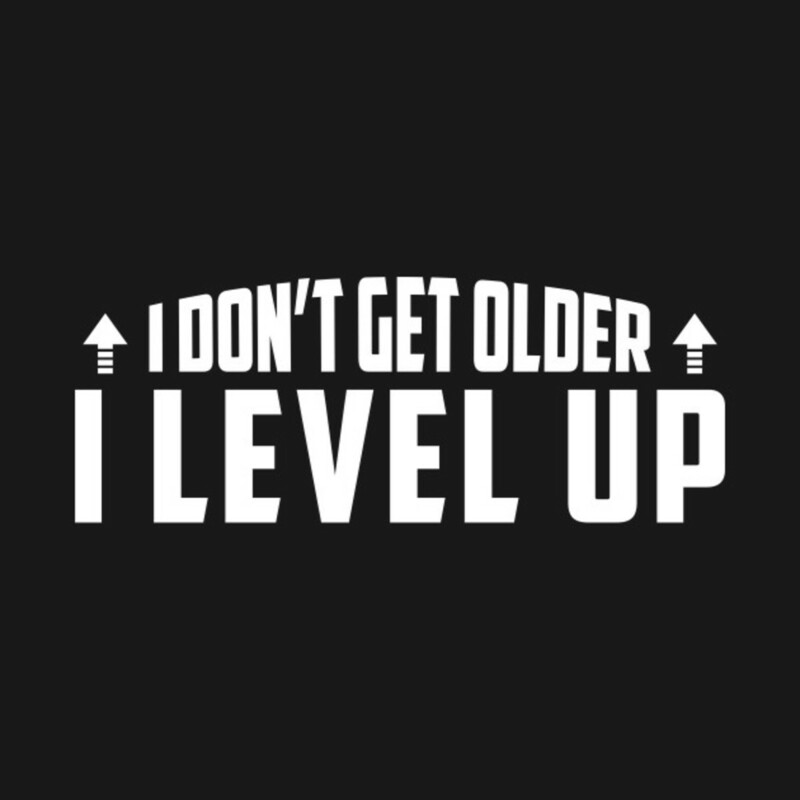 EXP: Experience Points allows you to level up your character level. ATK: Attack Power or Damage caused when you attack. This is how much you are able to damage an enemy. HP: Hit Points, this refers to your characters health, as when your HP reaches zero, your character dies. The most common way to regain our HP is to use potions bought at the general store. MP: Mana or Magic Points, this is how many points you have to cast special skills (the ones that have a cool down time). Potions can be bought to recover MP while in battle. There are three types of resources in the game; Gold, Rubies, and Diamonds. Gold and rubies can be accessed by everyone, but diamonds are mainly for people who pay. How can you get Gold? For purchase HP and MP potions from the general shop. How can you get Rubies? How can you get Diamonds? I am not sure if it is an acronym for this game; however, BR refers to the overall strength of your character, and is more important than the actual character level. Below are various ways to increase your BR, but if you are in doubt of which area to focus on whilst playing the game, there is a section called Growth where you can check your BR in certain sections and compare it to what is recommended. There are different grades of equipment (1 to 13) available in the game, and your character level dictates what equipment level you are able to equip. Better equipment provides better HP and ATK attributes. Alongside grades, there are different types of rarities: Common (Green, Blue, Purple), Rare (Gold), Legendary (Red) and Mythic (Colourful). The rarer it is, the better attributes it has. Later on in the game, you are able to craft 2 and 3-star Legendary equipment, using either rare equipment, or 2-star Legendary equipment (of the same grade). Once you have the equipment, you are also able to improve it. In the Forge, you can either enhance it, socket it, append it, or polish it. 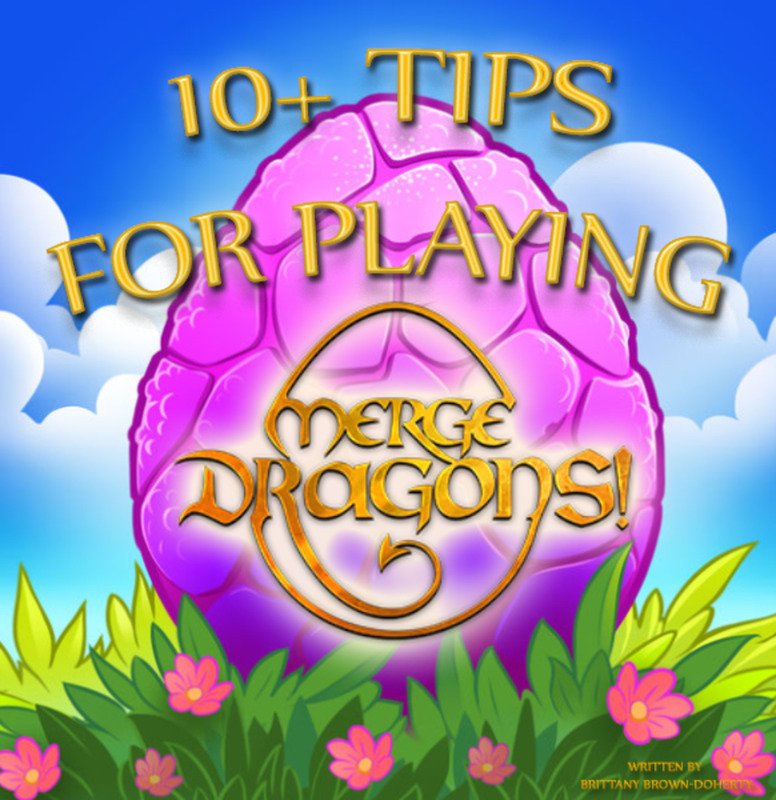 You receive in-game tutorials on how to do so after unlocking it. Lastly, there are also costumes. A costume can be set to alter your appearance, or just to provide special attributes. 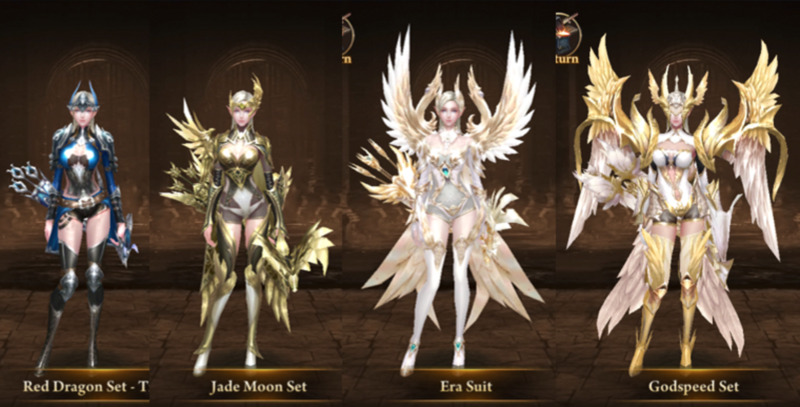 Costumes are mainly obtained during events; however, you can also get them from the Warrior Guard, after certain achievements, and during the first game launch. Elysians are powerful beings who are described as angels. You are able to morph into them to use powerful skills to strike down your enemy, or to restore your health (depending on the elysian). 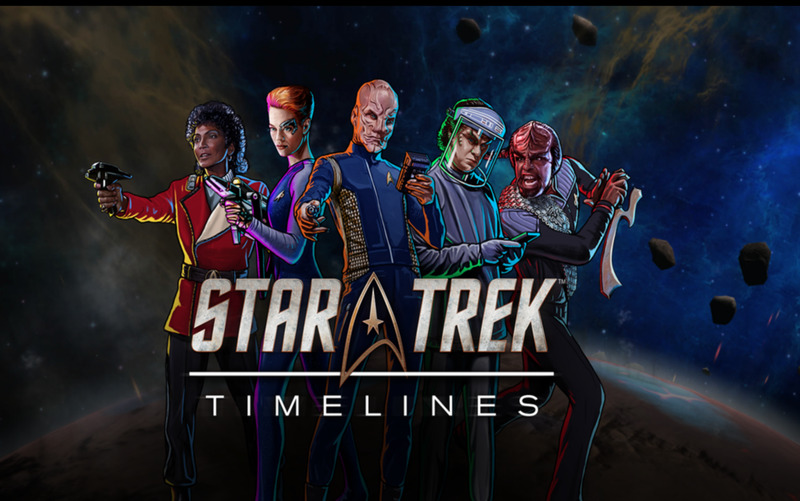 The first elysian you will get is Cassandra, the Elysian Stellaris, after completing chapter one of the game. You can get a total of four elysians after completing certain chapters; however, the rest can only be obtained through events. They can be upgraded by using elysian essence. You can acquire these in the Elysian instance, during monster battles, Dragonsoul Fortress, in the Guild Shop and during events. Elysians also have weapons that can be upgraded using elysian weapon fragments. To augment them you need to collect the fragments during events or purchase them from the guild shop. Sprites help you alongside battle, and have different abilities unique to them. The first sprite can be claimed during the first 7-day login rewards and is Shui - Master of the Five Streams. They can be upgraded by using sprite leaves. You can acquire these in the Elf instance, during monster battles, Dragonsoul Fortress, in the Guild Shop and during events. Sprites can also be augmented to unlock new skills. To augment them you need to collect sprite fragments during events or from the daily login reward. Within the Sprites section, there is also Illusion Armor and Overlords. Illusion Armor is still new; however, I believe it allows your sprite to morph into a deity that surrounds you and grants bonuses; such as HP bonuses. Overlords are powerful beings that your sprite can morph into and help you on the battlefield. Currently, there are two different types: ATK ones that help you to fight, and HP ones that heal you. Mounts help you travel from A to B more quickly, and can provide HP bonuses as you level them up. Mounts can be upgraded using mount fruits, which can be acquired during monster hunts or from the Mount instance. There are mount morphs, which can provide bonus attributes, and can change the appearance of your mount. These can only be obtained during events, and can only be upgraded by using mount fragments (also from events). Within the Mount category, there is also a Shield and Skills. The shield provides bonus character attributes, and can be leveled up using magma crystals, and occasionally needs to be reinforced using celestial essence. The skills are passive, and can help you during battles against bosses or other players; however, they are upgraded using skill books which are hard to obtain (even during events). Their primary function is to increase your BR, and to look nice. Wings can be crafted after clearing the second chapter. To craft a pair of wings, you need special feathers, and wings from the previous level. You are only able to use class related wings, and luck defines whether you get class related wings for levels 1 and 2. Using the feathers, you can also purify the wings, which increase their current attributes. Like Mounts, wings also have morphs; these can be acquired from special events or the Monster Treasure Hunt. To initially craft them, you need to collect 100 fragments of the specific morph type. You can then upgrade them or augment them by collecting special equipment (also obtained only from events and the Monster Treasure Hunt). After purifying your wings to a quality of 360, you can begin to 'feather your wings.' By feathering them, you can add extra attributes and increase your BR. You need to increase your character level to unlock certain features. The easiest way to do this is to leave your device running on automatic mode, slaying monsters. This is also useful for getting gallery entries. Potions: these can be acquired by killing monsters, completing certain goals, daily rewards, and monster hunt chest. They multiply the EXP you earn when fighting monsters and range from 1.5 (common) to 3 (rare). EXP instances: Here you can use gold and rubies to increase your ATK, and you are able to use a potion. You are then given 5 minutes to kill as many monsters as possible. Daily Quests: You can complete 20 per day, where you battle monsters. After completing all 20, you will receive 5 treasure maps. Mercenary Quests: Depending on the rating (S, A, B, C or D) you will get varying amounts of EXP and gold. S rating provides 3 times the rewards, while D rating is the standard amount. By using 3 vouchers of the same type, you can craft a higher level voucher. 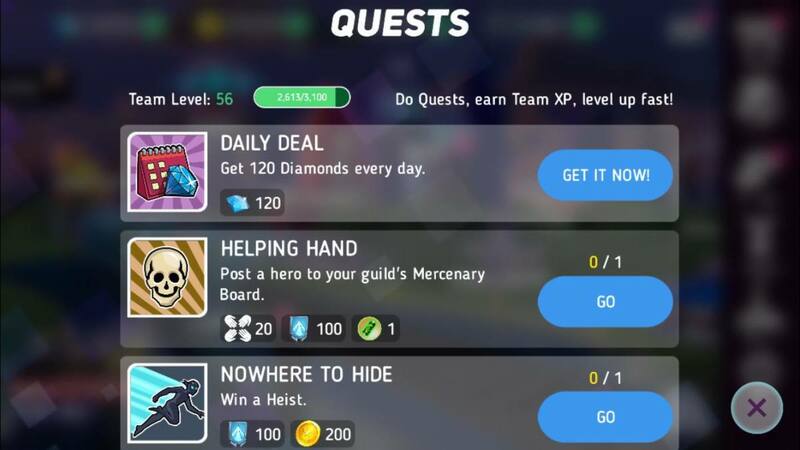 Guild Quests: You can complete 10 per day, if you are in a guild, and will need to battle monsters. After completing them, you relieve 5 treasure maps. Imp: You can hire the imp (from the general store) for a period of 30 days. It provides a bonus of 1.5 times EXP can be used alongside potions; however, it costs 576 rubies or 288 diamonds. After you reach level 500, the level system changes to SP levels, which can be seen with a light blue flower next to your character level. SP level 1 means level 501. There are a total of 5 promotions, that introduce new skills for your character, increases their BR and unlocks instances opportunities. To complete most of the promotions, you have to follow a series of quests to receive an upgraded title or class status. Once you reach level 85, you are given the opportunity to join a guild. If you want to make your own guild, you need to have a Guild Medal and be a level 3 VIP. You can get the Guild Medal in the rubies or diamonds store. Once these criteria have been completed, you can create your guild. If you want to join a guild rather than create one, you can simply request via the guild section. 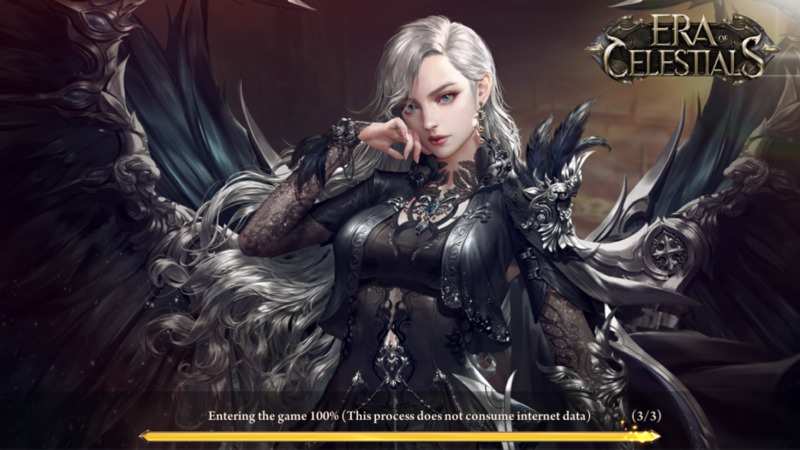 Some guilds may have descriptions provided with restrictions the guild leader has set; typically based off of your BR; however, it can also be character level or language. 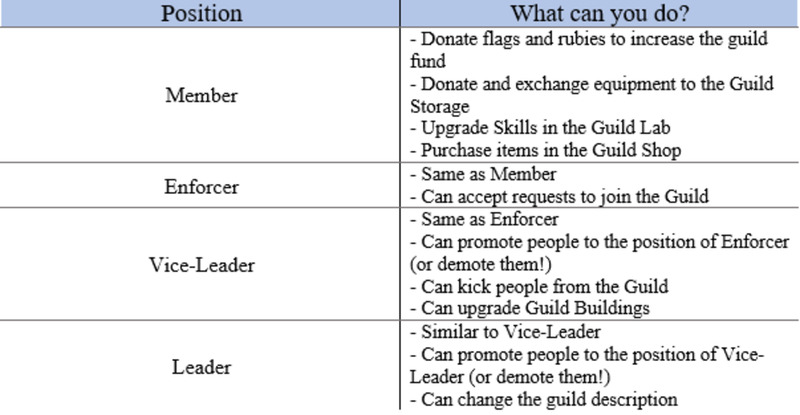 In a guild, there is a hierarchy system: Leaders, Vice-Leaders, Enforcers, and Members. 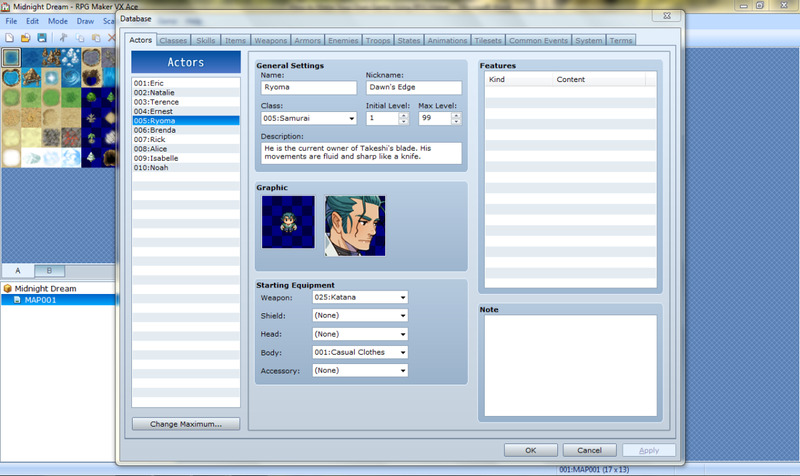 Your position may limit what your character will be able to do within the guild. This is used to determine the rating of your guild (S, A, B, C, D or not ranked). 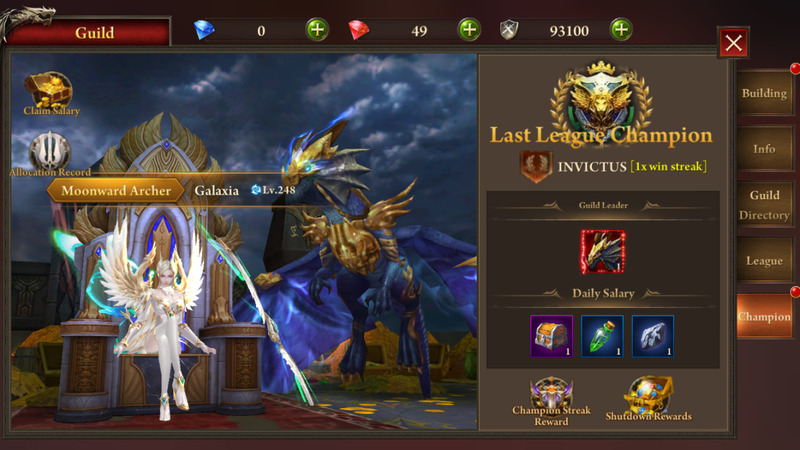 This is mainly important for guild reputation to get more of the high level, active players; it is also a test to see whether your guild is able to work together to defeat more powerful guilds. During the League, you battle two guilds to secure your position; a semi-final round and a final round. 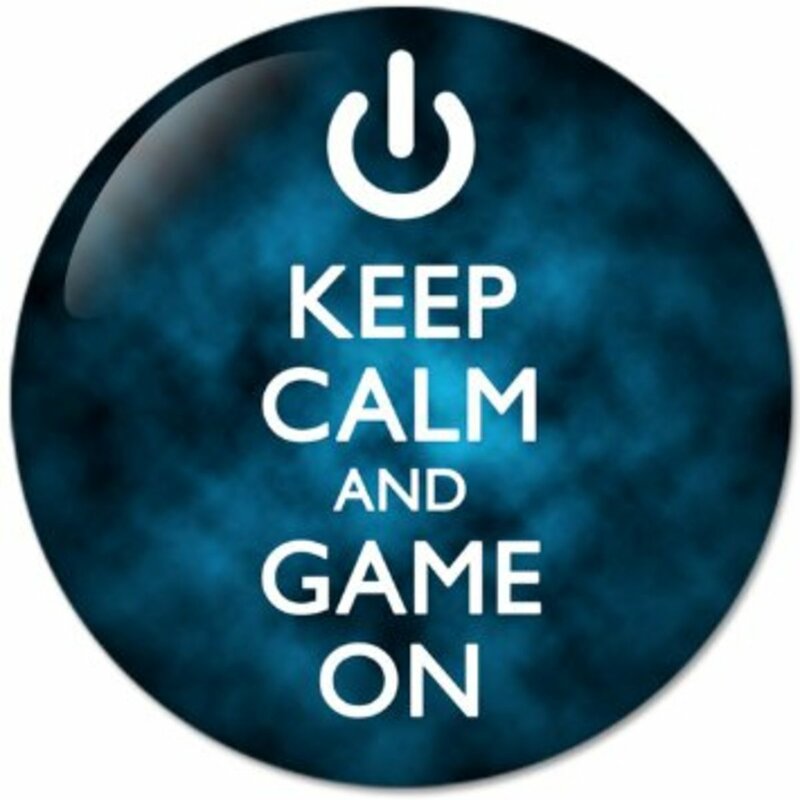 The aim is to capture flags and defeat enemy players to get points, which ever guild gets the max number of points quickest, or the max number of points before time is up wins the round. The Guild who manages to rank 1st in the guild battles don't necessarily have the highest BR, but they do experience bonuses! 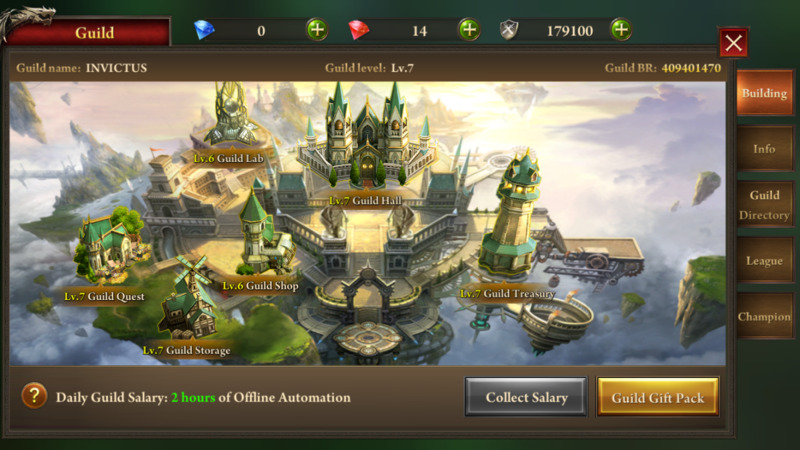 The guild leader will receive an exclusive 7-day Divine Sapphire mount morph, and I believe that if the guild manages to get a streak, the daily salary improves. There is a shut-down bonus for the guild who manages to defeat a guild who has managed to have a winning streak of at least 2 weeks. Unlike Guild Battles, your guild may fight against guilds from other servers. 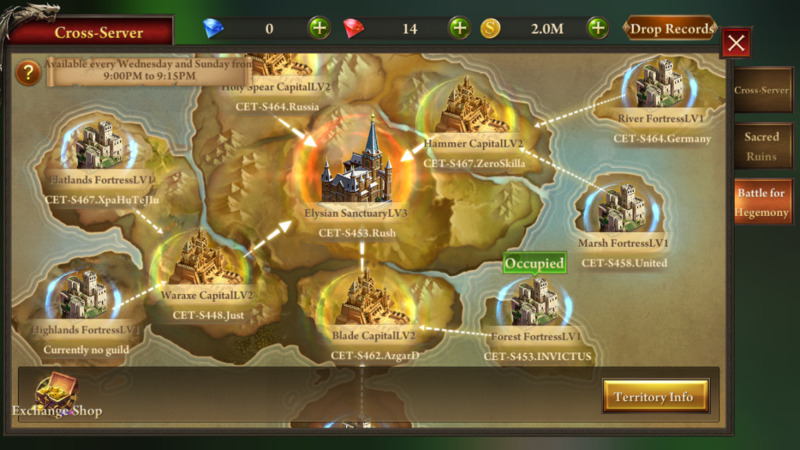 During this event, the Guild can bid on territories which gives them the opportunity to battle for them. 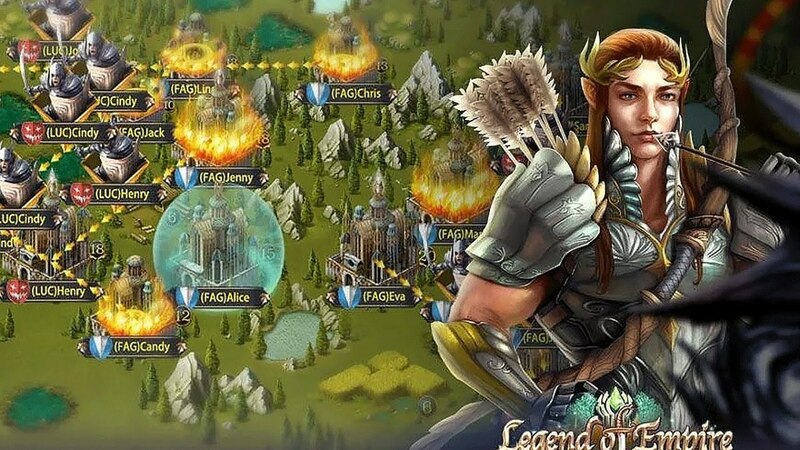 Bids can only be made by leaders and vice-leaders, and use guild funds; however, if your guild is able to acquire a territory the leaders and vice-leaders receive a daily bonus of territory points. Territory points can be used to purchase items in the territory shop; such as set stones. Depending on the territory level that you occupy, you may have access to more or fewer items. For example the Golden Regalia is only available for a guild that occupies a level 3 territory. There are two types of souls that you are able to acquire and upgrade: God Souls (from level SP 150) and Tyrant Souls (from level SP 200). God Souls increases your BR and can improve certain features (depending on the type you equip), and to upgrade them, you can take part in the Tyrant Portal instance. Tyrant Souls also improve your BR and have varying benefits, and the equipment required to upgrade them can be obtained from the Cross-Server Sacred Ruins. 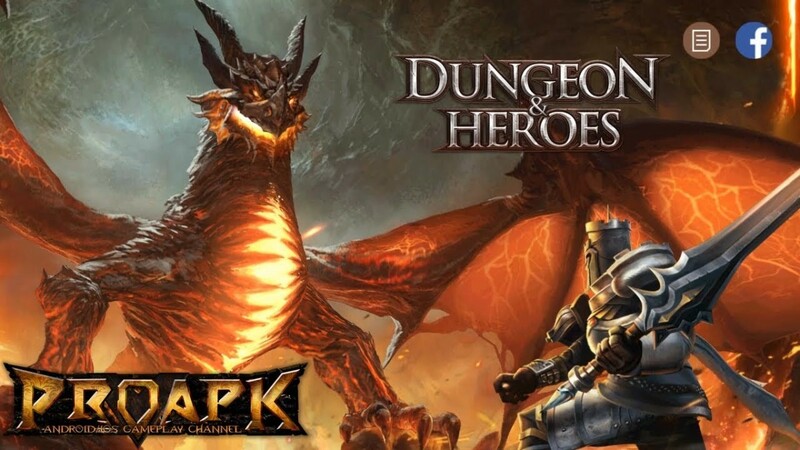 There are two types of events in the game, regular events which include Guild Feasts and Dragon-Slayer instances, or special events which constantly change. It is a good idea to keep an eye out for these as this is where you can acquire special Elysians, Sprites, Mounts, Overlords, Wing morphs and typically rare resources. They are also great ways to get large batches of common resources. I hope that I covered most of your queries, but if you have any questions please don't hesitate to contact me. You can either contact me through HubPages or directly through the game. I can be found on the Europian Server CET-S453, and my name is Galaxia. Good luck fellow Hero, and enjoy your journey to rid the land of demons!